﻿ Marquee - We're stylish. Innovative. Inspirational. And more than anything, we're different. The wait is finally over! Meet our stunning Teen Ambassador girls crowned as MISS MARQUEE 2016. Watch this space or to find out more follow us on Instagram @marqueeuae. Braid with your bestie and master how to achieve a Fishtail, French and more! We have sessions available with our style masters at our Arabian Ranches Golf Club, The Lakes and Jumeirah Road salon. Each session is two hours at AED 150 per person, maximum of 6 girls and minimum of 4, and every girl will receive an Invisibobble hair tie gift to take home. Remarkable talent. Exceptional service. A welcoming environment. It’s no wonder we’re taking the UAE by storm. Named after the brightly-lit signage above a theatre where the Hollywood elite first saw their name in lights, Marquee is inspired by classic 1950s film star glamour – and this glamour is at the heart of everything we offer. Our talented hair masters love what they do, delivering incredible style and an exceptional customer experience first time, every time. We’re stylish. Innovative. Inspirational. And more than anything, we’re different. 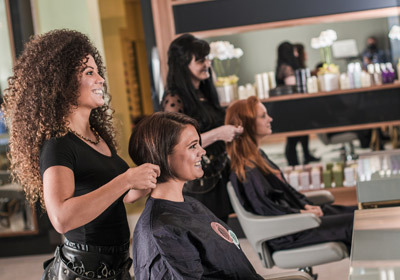 Our obsessive devotion to great hair delivers head-turning style with remarkable service every time, while our welcoming and luxurious surroundings make you feel relaxed and refreshed. We’ve sourced Japanese flatbed backwash chairs with your comfort in mind, and our in-house trichology services help you get to the root of any tricky problems. And we’ve scoured the globe – literally – handpicking ecologically and animal friendly products that don’t just make you look good, they make you feel good too. We cut and we colour; core services that no girl can do without. But we know you want more. That’s why our team of top stylists – fresh from big brand salons in London – have put together a menu of Hollywood’s hottest trends, tricks and treatments to deliver red-carpet-ready hair. We’re passionate about what we do, and we’ve handpicked a team of experts that share our obsession with getting it right. Our talented hair masters combine the perfect blend of technical and creative brilliance to ensure you get the look that suits you, your hair, and your lifestyle. We look, listen and collaborate to understand exactly what you want, so you step out of Marquee feeling dangerously irresistible. Shabana Karim | Founder: Every great story needs a leading lady so let us introduce you to ours. Global style ambassador and founder of The Nail Spa – the region’s first spa solely for hands and feet – Shabana made the classic mani-pedi an essential experience for Dubai’s fashionistas. In 2013 Shabana added hair care to her style repertoire with the premiere of Marquee. By filling Marquee with star products and creative hair masters sourced from across the globe, Shabana ensures the spotlight shines firmly on the UAE. Maria brings us her extreme passion all the way from Greece - working with some of the world’s most famous hair up stylists such as Patrick Cameron and Nikki Lakka. She is a bridal specialist and loves to create and transform with over 13 years’ experience and has showcased her work alongside many great stylists for L’Oreal Professional in Europe. A creative director who specialises in hair extensions, Yana arrives from seven years in a top London salon. A creative hairdresser with an eye for fashion, Yana honed her talent as a back stage stylist for London fashion shows and as a magazine session stylist. Joining us straight from the high seas, Milly has worked on world renowned cruise ships for the past 3 years. She has a friendly approach and puts clients at ease with her kind caring nature. She loves to style hair and has a unique skill when it comes to blow drying. Alex started her career in hairdressing 1991. Her achievements and knowledge was gained in various international well know Academy’s including, Schwarzkopf in Vienna, Revlon in Barcelona, Headmasters in London and L’Oreal in London. Her creative and open minded attitude to coloring and cuts makes Alex the perfectionist in this field, with over 25 years of experience! Stylist Simone joins us from the Rainbow Nation of South Africa – and with a surname that means 'red', we just knew this gorgeous gal would colour as well as she cuts. Amazingly positive in all aspects of life, Simone is a joy to be around and delivers on her personal goal every time – to infuse her clients with confidence. Originally Lebanese, Hamza has lived in Dubai since 2007 and has worked as a freelance hair stylist and make-up artists for some of Dubai most affluent ladies before joining Marquee in 2015 as Creative Stylist. He’s a natural at his profession and prides his work on healthy, shiny hair with a flair for colour and cut, especially with long hair. He has an extensive background of technical training from Kerastse, L’Oreal and Kevin Murphy and is a master all types of hair extensions including keratin bonds, micro-rings and double hair working with all types of hair. Hamza’s passion is to bring out his clients personality and make them shine. As a make-up artist he believes make up is used to highlight a women’s features instead of covering them. Hamza’s family name is Bou Chakra, ‘Chakra’ meaning blond in Arabic, not a blonde himself but clearly destined to work his creative magic with colour at Marquee! 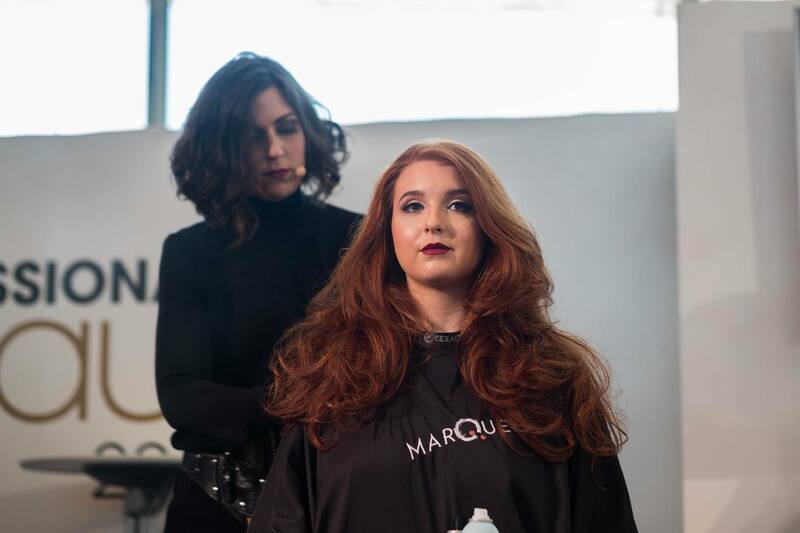 Joining the Marquee team from Spain, Iraia studied hairdressing in one of the best colleges in the Basque Country where she qualified and worked for the French salon Jean Louis David. Iraia later won a scholarship to further her studies with Toni & Guy in UK and furthered her passion working on a number of events, musicals and photo shoots. She participated for two consecutive years in the Young Promises Show celebrated in Madrid which showcased young talent within the beauty industry. She has made her passion her profession and is waiting to for you with open arms at Marquee. German born and bred – always with an artistic flair, Jessica worked in a top German salon for the past decade learning all the newest trends. She is constantly on the look out for the latest techniques and has a master hand when it comes to cutting. She is also highly trained when it comes to the technical side of colour and can seamlessly achieve the most beautiful natural styles and latest trends. Be tempted by our dazzling packages and promotions that will keep your tumbling tresses looking red carpet ready for less! This simple and quick alternative to a braid is a look perfect for the month of love! Simply take a section of hair from the top and split in two and tie in a knot. Add another section to one side of the knot and Keep doing this until you’ve ran out of hair. Secure with a band and you can pin it up and tuck into the knot or leave loose. Or you can also try Romantic waves for a soft girly look or shake things up with bed head tousled curls with lots of volume. Artistic Director Cat Hawkes shows you how to get instant oomph with the B Loved hair piece by Balmain Hair Couture. Achieve added volume in minutes with this simple and easy to use clip in piece available in five shades to suit your hair colour. Enjoy exclusive news and views plus special previews of our new productions – just email pr@marquee.ae to get the latest gossip. We’re always on the lookout for shining stars! We’re seeking people with the perfect blend of technical and creative brilliance who listen and collaborate – not just talk – to guarantee that each and every client steps out of Marquee feeling red carpet ready. In return we’re offering the opportunity to work in an inspirational environment, and promise a commitment to continuous education that will further develop your creativity and technological knowledge. We love to hear your reviews, and are determined to be the critics' choice at every awards ceremony. Pick up the phone or drop us a mail and tell us all about your red carpet ready experience – or just fill in the following form. © 2019 Marquee. All rights reserved.